We’re less than a month away from a brand new year. Are you ready to get the best ROI from your Google Shopping campaigns? Here are some areas to focus on to increase the effectiveness of your Google Shopping ads. If you’re undertaking Google Shopping ads management on your own, ensure that UPIs (Unique Product Identifiers) such as GTIN, MPN and brand carry accurate values in the product data feed. UPIs are the most important attributes in your product feed and you’ll typically have to submit at least two or three for each product. Check in which countries GTIN is available and include the number if your product is being sold in that country. Google allows seventy characters for product titles and you should optimize product titles by including simple, product-focused information and keywords you think people will search for. A succinct title works best but if you need to have a longer title, frontload key terms so that critical product details show, especially on mobile devices which are an increasingly important platform for shopping ads. Avoid using flowery or editorial language as this is a wasteful usage of character limit and not add enough value to your ad. Follow the same rules for product description fields. Although you can use up to five thousand characters for product description, Google Shopping Ads management experts believe that five hundred characters are the ideal description length. For products that have variations, avoid combining the specifications of variations to prevent mismatching. You can mention that the product is available in other variations such as size, color, material etc. Google Shopping Ads management professionals ensure that every product is allotted the best matching product category. The usual practice is to download a Google Product Taxonomy and review once every three months or so because Google updates with that frequency. Using the best specific category for your products will help Google club your products with other similar products and increase the chances of your ads getting picked. 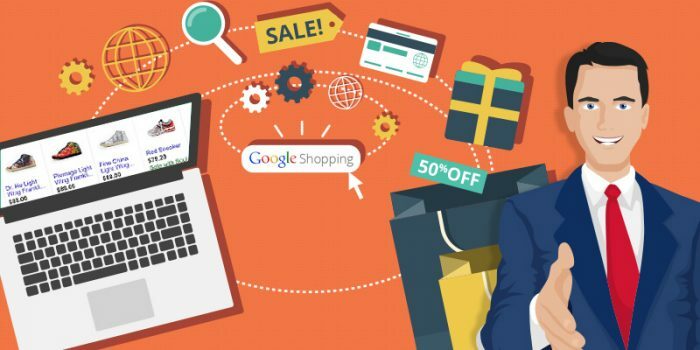 Use Google Shopping campaign ad extensions effectively to entice people to click on it. Include special information such as promotions, discounts, product ratings or local inventory information in case you have an offline store. If you’re offering discounts, show the percentage price drop in an extended ad format. If you’re using ad extensions to push your offline store, allow Google to show an in-store card with relevant information such as opening/closing times. Adjust the campaign structure by using different priority settings for different campaigns and adding negative keywords to each campaign. This will help you control traffic coming from different keywords and bid higher on more valuable keywords. Another smart thing to do is use device bid modifiers to push traffic to your best-performing devices. Modifier tools allow you to save money and allow it more effectively to various devices. Use remarketing lists to customize shopping ads and target previous occasion site visitors. Site visitors are a valuable audience and you may want to bid more to show your ads to this group. You can also create custom combination lists to target visitors based on their onsite activities. Alternately, use Google’s Customer Match to find high quality leads for your ads. If you want your shopping ads to be showcased within Image listings, opt to become a Search Partner. With this setting, you automatically become eligible to show your shopping ads in Google’s Image search results. Start revamping your campaign now to save time later on and get superlative returns in the New Year! How to Run a Successful Public Relations Campaign?